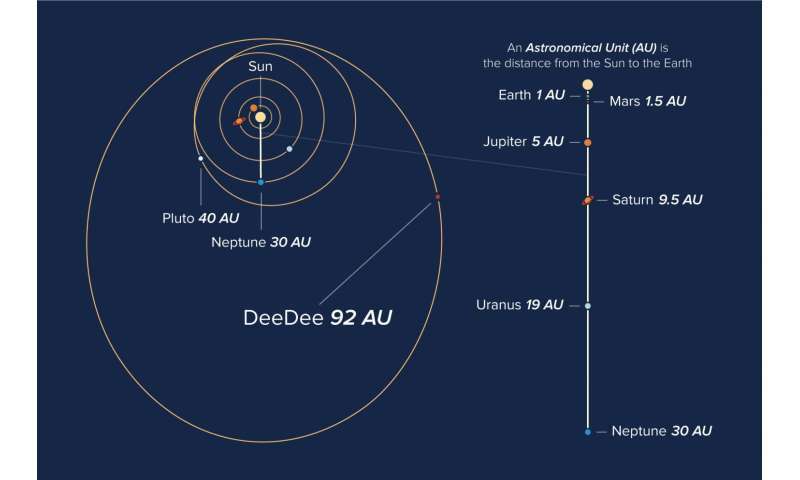 At about three times the current distance of Pluto from the Sun, DeeDee is the second most distant known trans-Neptunian object (TNO) with a confirmed orbit, surpassed only by the dwarf planet Eris. Astronomers estimate that there are tens-of-thousands of these icy bodies in the outer solar system beyond the orbit of Neptune. The new ALMA data reveal, for the first time, that DeeDee is roughly 635 kilometers across, or about two-thirds the diameter of the dwarf planet Ceres, the largest member of our asteroid belt. At this size, DeeDee should have enough mass to be spherical, the criteria necessary for astronomers to consider it a dwarf planet, though it has yet to receive that official designation. "Far beyond Pluto is a region surprisingly rich with planetary bodies. 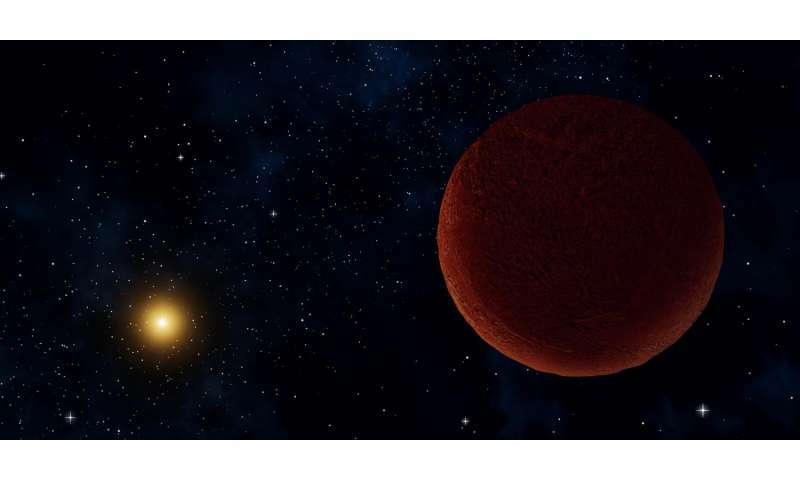 Some are quite small but others have sizes to rival Pluto, and could possibly be much larger," said David Gerdes, a scientist with the University of Michigan and lead author on a paper appearing in the Astrophysical Journal Letters. "Because these objects are so distant and dim, it's incredibly difficult to even detect them, let alone study them in any detail. 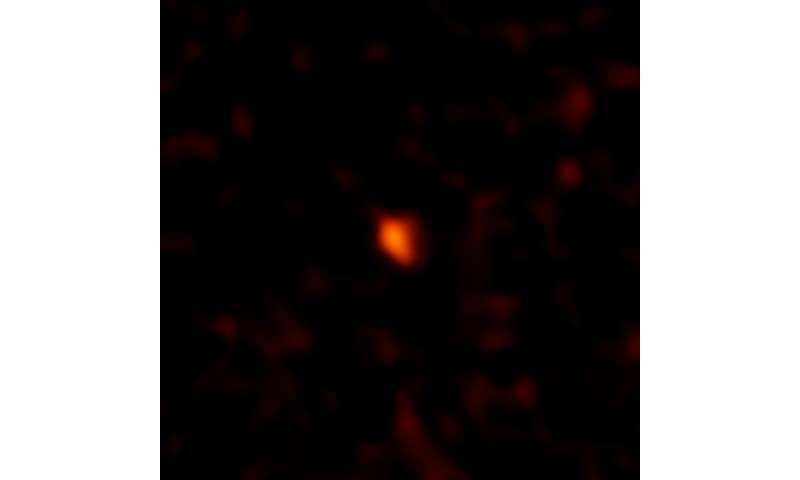 ALMA, however, has unique capabilities that enabled us to learn exciting details about these distant worlds." Currently, DeeDee is about 92 astronomical units (AU) from the Sun. An astronomical unit is the average distance from the Earth to the Sun, or about 150 million kilometers. At this tremendous distance, it takes DeeDee more than 1,100 years to complete one orbit. Light from DeeDee takes nearly 13 hours to reach Earth. Gerdes and his team announced the discovery of DeeDee in the fall of 2016. They found it using the 4-meter Blanco telescope at the Cerro Tololo Inter-American Observatory in Chile as part of ongoing observations for the Dark Energy Survey, an optical survey of about 12 percent of the sky that seeks to understand the as-yet mysterious force that is accelerating the expansion of the universe. The Dark Energy Survey produces vast troves of astronomical images, which give astronomers the opportunity to also search for distant solar system objects. The initial search, which includes nearly 15,000 images, identified more than 1.1 billion candidate objects. The vast majority of these turned out to be background stars and even more distant galaxies. A small fraction, however, were observed to move slowly across the sky over successive observations, the telltale sign of a TNO. One such object was identified on 12 separate images. The astronomers informally dubbed it DeeDee, which is short for Distant Dwarf. The optical data from the Blanco telescope enabled the astronomers to measure DeeDee's distance and orbital properties, but they were unable to determine its size or other physical characteristics. It was possible that DeeDee was a relatively small member of our solar system, yet reflective enough to be detected from Earth. Or, it could be uncommonly large and dark, reflecting only a tiny portion of the feeble sunlight that reaches it; both scenarios would produce identical optical data. Since ALMA observes the cold, dark universe, it is able to detect the heat - in the form of millimeter-wavelength light - emitted naturally by cold objects in space. The heat signature from a distant solar system object would be directly proportional to its size. "We calculated that this object would be incredibly cold, only about 30 degrees Kelvin, just a little above absolute zero," said Gerdes. While the reflected visible light from DeeDee is only about as bright as a candle seen halfway the distance to the moon, ALMA was able to quickly home in on the planetary body's heat signature and measure its brightness in millimeter-wavelength light. This allowed astronomers to determine that it reflects only about 13 percent of the sunlight that hits it. That is about the same reflectivity of the dry dirt found on a baseball infield. By comparing these ALMA observations to the earlier optical data, the astronomers had the information necessary to calculate the object's size. "ALMA picked it up fairly easily," said Gerdes. "We were then able to resolve the ambiguity we had with the optical data alone." Objects like DeeDee are cosmic leftovers from the formation of the solar system. Their orbits and physical properties reveal important details about the formation of planets, including Earth. This discovery is also exciting because it shows that it is possible to detect very distant, slowly moving objects in our own solar system. The researchers note that these same techniques could be used to detect the hypothesized "Planet Nine" that may reside far beyond DeeDee and Eris. "There are still new worlds to discover in our own cosmic backyard," concludes Gerdes. "The solar system is a rich and complicated place." "Because these objects are so distant and dim, it's incredibly difficult to even detect them, let alone study them in any detail." Wouldn't it be great to have a telescope on or around Pluto?